When I started hiking, I was bad at it. I was horribly overweight and my muscles were terribly conditioned. My feet always hurt and I was always huffing and puffing. I didn’t hike often enough to get in shape, so I tried going to a gym. It didn’t help: I didn’t know what I was doing. Almost two years ago (5 now), a friend at work found a Groupon for Crossfit Ignite, a new gym just across the street from my home. I hadn’t heard much about Crossfit, but I new it was pretty intense. On a whim, I decided to sign up and give it a try. My life will never be the same. When I first walked into Ignite, I was scared. I weighed almost 270 pounds and had never taken part in a physical training program. I was suddenly surrounded by real athletes, the type I was always leery of. That night, we went over a few simple moves and then did a simple workout. Afterwards, I nearly crawled home. I could hardly move the next day, but I went back anyway. For three nights that week, I worked harder than I had ever worked before. The fact that I lived though those first sessions really surprised me. 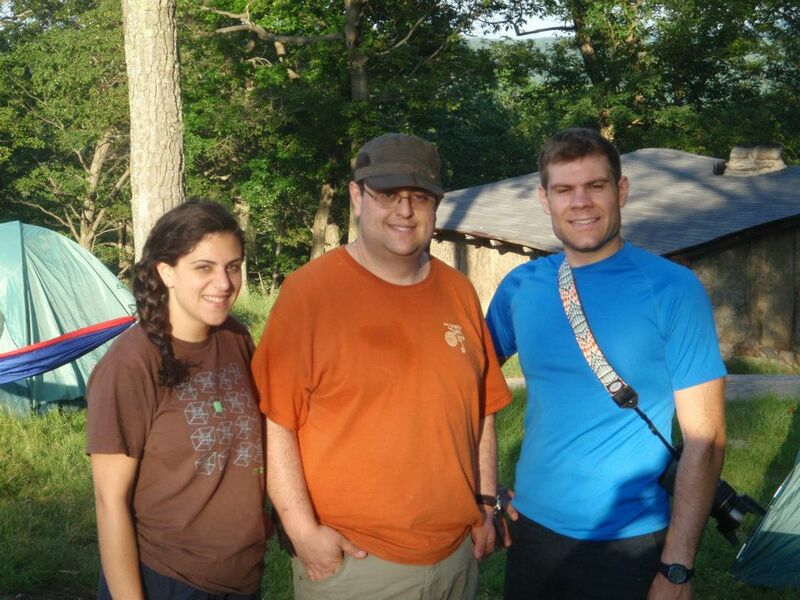 That’s me in the middle, after barely surviving my first backpacking trip. 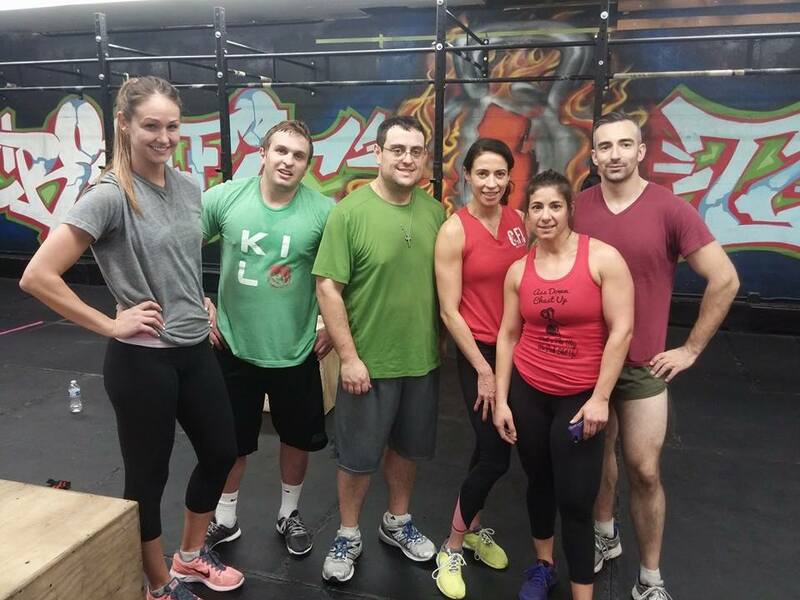 The coaches and athletes at Crossfit Ignite turned out to be some of the friendliest folks I have ever met. They struck the perfect balance between patience and encouragement. There was always a friendly face to help me through a tough workout. Coach Steve had a motto “You get yourself here, we’ll do the rest.” He and the other coaches lived up to every word of that promise. Night after night I convinced myself to go in and they got me through hell. Steve was actually one of the first to start calling me CampingJay and inspired this blog. Me and my team after finishing a group workout on Christmas Eve. Why is Crossfit for Hikers? Hiking is not running, its lifting. Climbing up hill requires strong leg muscles to propel the body upwards. Scrambling across rocks requires balance and coördination. 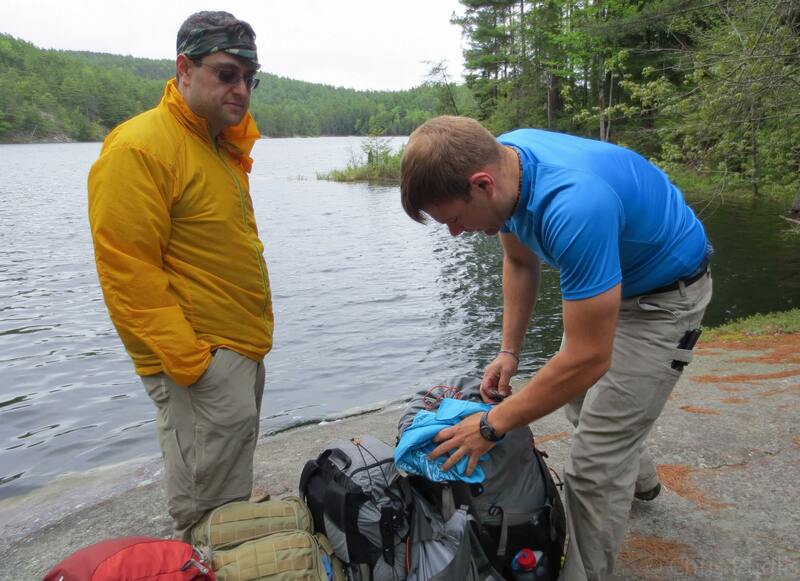 Carrying even a light pack for many hours requires endurance and upper body and back strength. All of these activities require a strong heart and efficient lungs. CampingJay performing a high pull. Crossfit works on all of those aspects. We start each class with a mobility exercise. This is important for keeping the body loose and nimble. We then spend 15-20 minutes practicing a lift. In Crossfit, we usually concentrate on doing several small sets of heavy lifts to build powerful muscles. We end each class with a Metabolic Conditioning Workout. This is usually some combination of lifting, body weight exercises, running, jumping, or rowing. The MetCon is usually a race to get as much done as you can as quickly as possible. After two years of Crossfit, I still have weight to lose, but I’m worlds happier and healthier. The diverse combination of movements practiced in Crossfit work every muscle group in the body in a variety of combinations. They build up “physical readiness.” The Crossfit athlete is not be the biggest body builder, the fastest sprinter, or the strongest power lifter. Rather, he or she is well rounded and ready for anything. This all-around strength translates directly to hiking and backpacking where we often find ourselves hauling a heavy loads over varied terrains. Hiking is just walking, so shouldn’t running help? Well, hiking isn’t just walking. As I said earlier, its lifting. I realized this last year when I took two friends of mine on a strenuous hike. They were both in great shape. One was a lifter, the other a runner. I actually expected the runner to be a better hiker. It turns out that while running has its benefits, it doesn’t build the strong muscles you need to power up hills. Running constantly tears muscles down, so they become super efficient for just one thing: running. Lifting, however, builds solid muscles that can do a lot of work. While my lifting friend powered up hills with ease, the runner found herself huffing and puffing to keep up. To be a good hiker, you can’t just be good at one thing: you need to be a functional athlete. 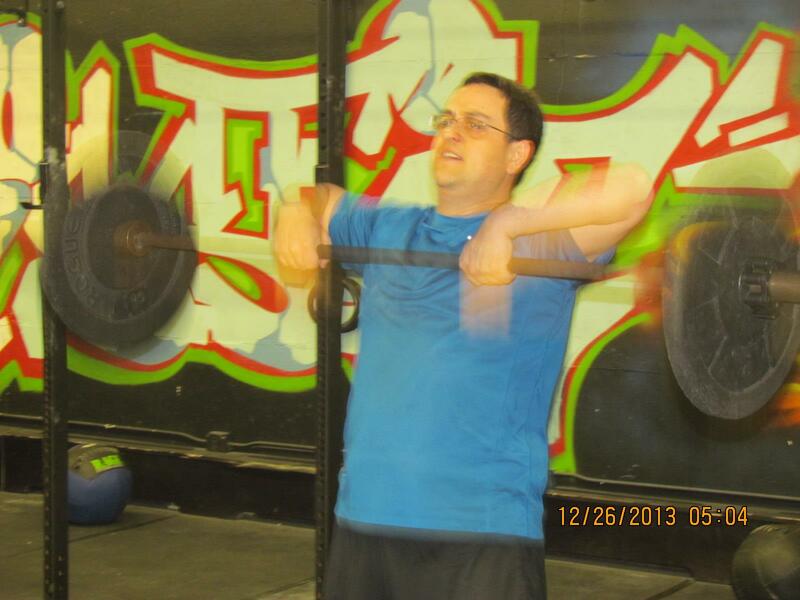 I really believe that Crossfit is a great way for anyone to get in shape. 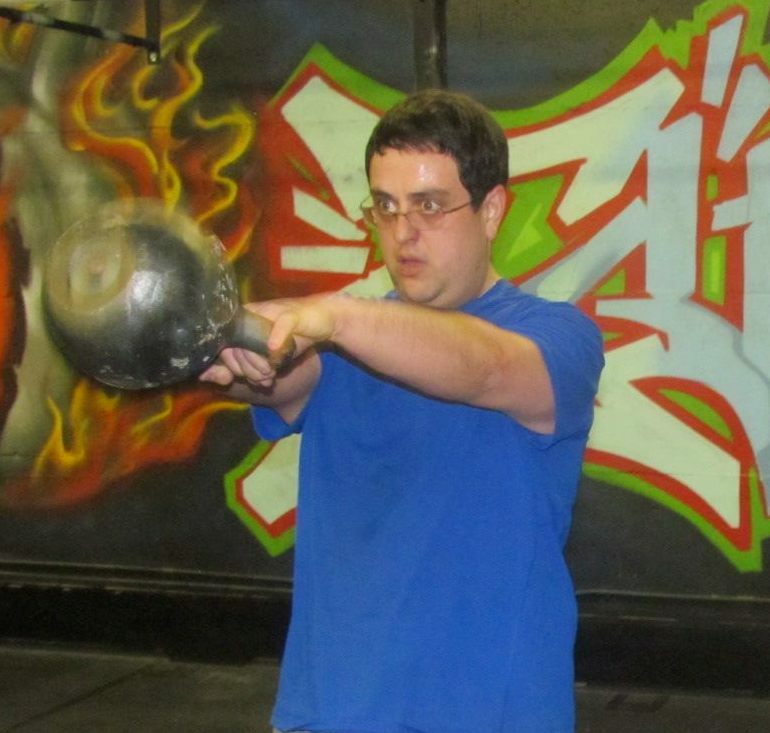 The classes provide a structured atmosphere, which is terrific for people who’d otherwise just wander around the gym. The coaches are professional, knowledgeable, and helpful. Possibly above all, the community is outstanding. Walking into a Crossfit gym, you will instantly make friends who will urge you to be the best person you can be.